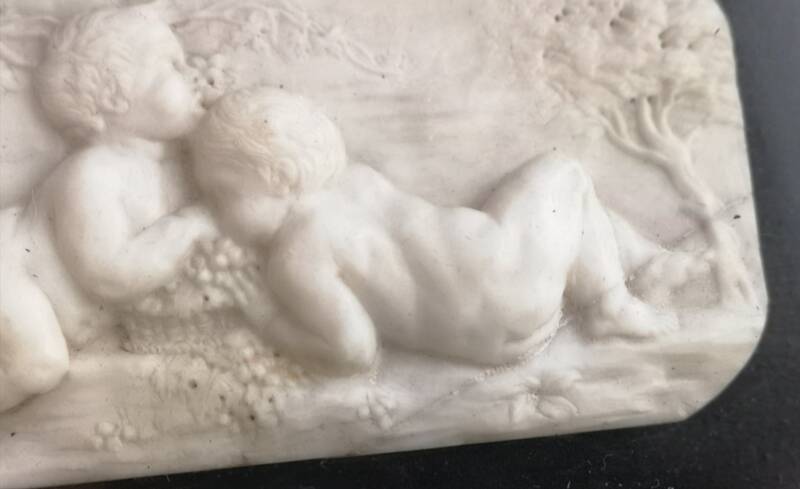 A beautiful highly detailed 18th century plaque of putti (cherubs) frolicking in a vineyard and indulging on grapes. 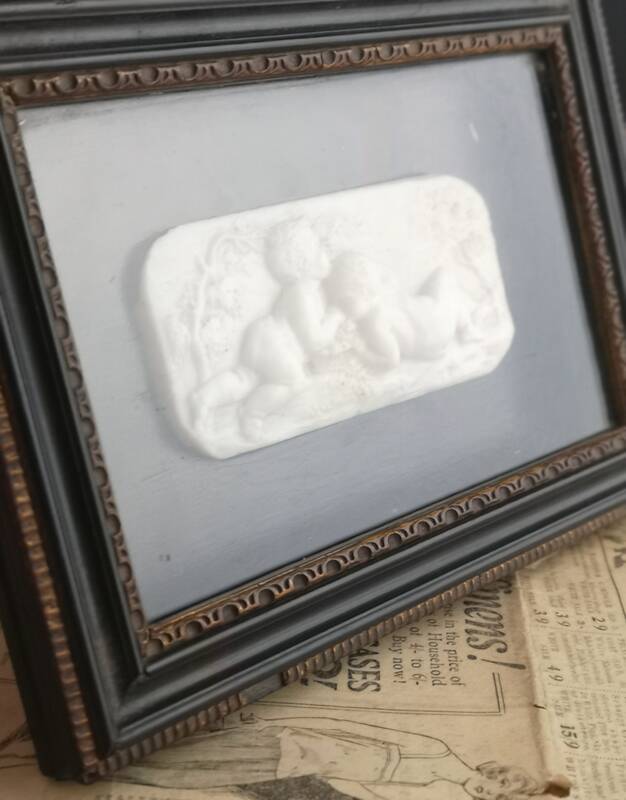 The plaque is designed in relief and has a great lifelike feel to it, the artist put a lot of work into the finer details. 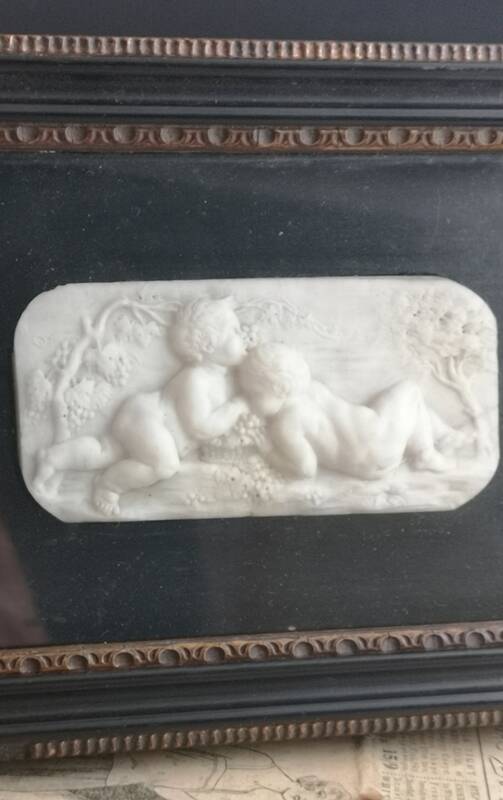 Italian origin, imported, mounted and framed in England in a period wood and gesso frame, the plaque mounted into a carved black lacquered wood panel. 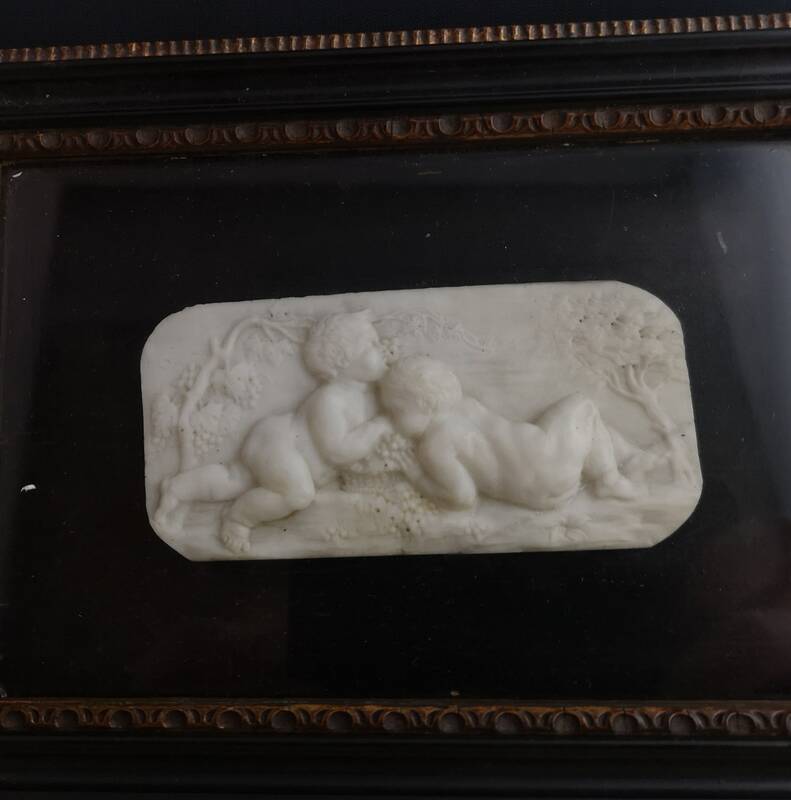 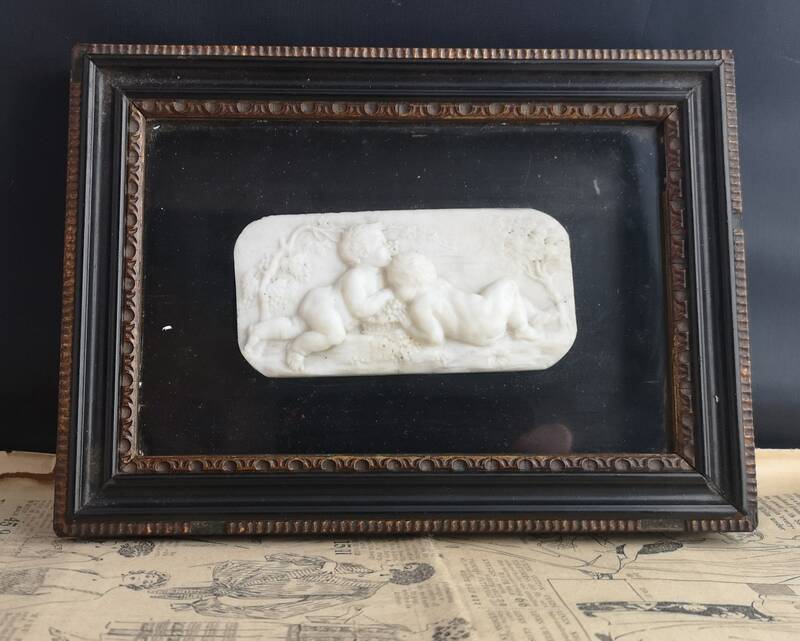 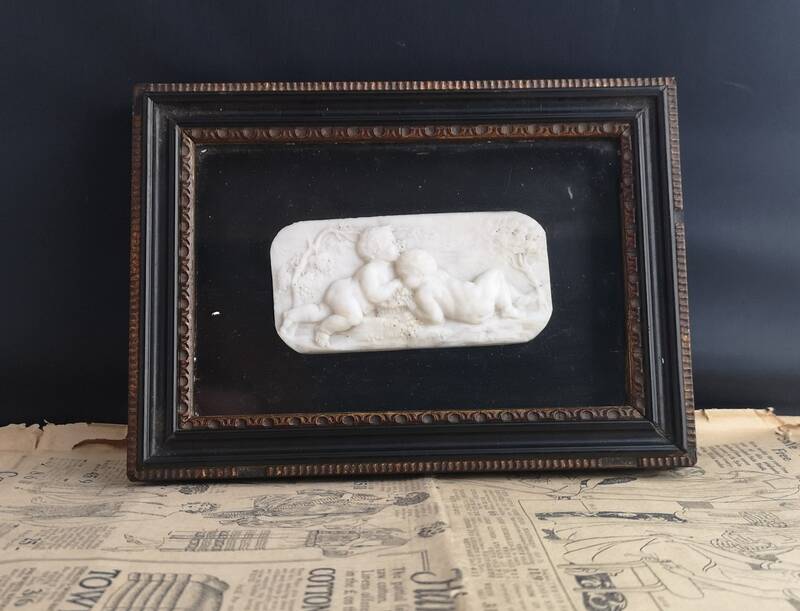 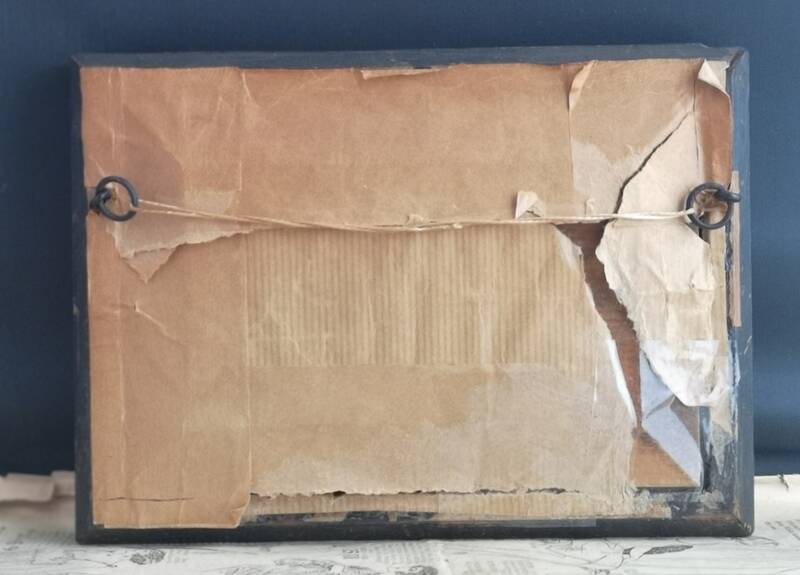 This antique Italian plaque is in overall good condition, there has been a straight repair on one corner and the original paper backing has been removed in the past presumably to look for signatures or marks, it is unmarked. 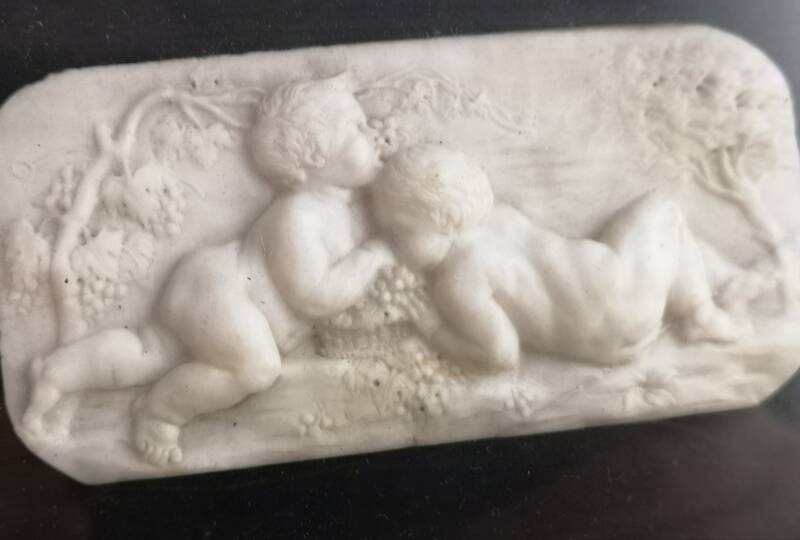 For more fine antique pieces why not browse around our shop.